What does a physically welcoming campus look like? How should the physical environment play a role in making IUPUI a welcoming campus? What are the present ways IUPUI provides a physically welcoming campus? 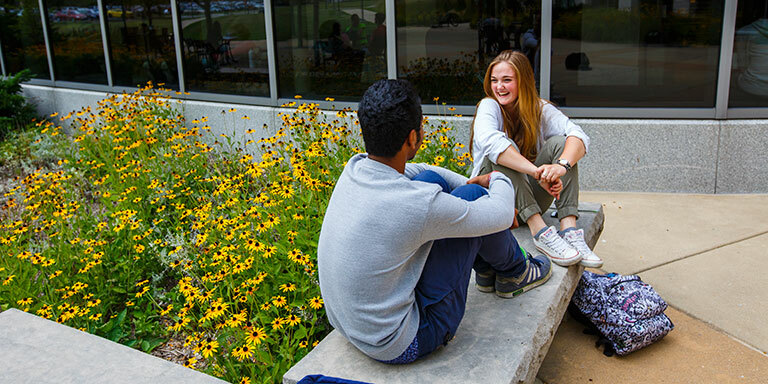 How do our peers and other aspirant institutions create physically welcoming campuses? Where are opportunities to strengthen or improve our physical environment to enhance IUPUI as a welcoming campus? 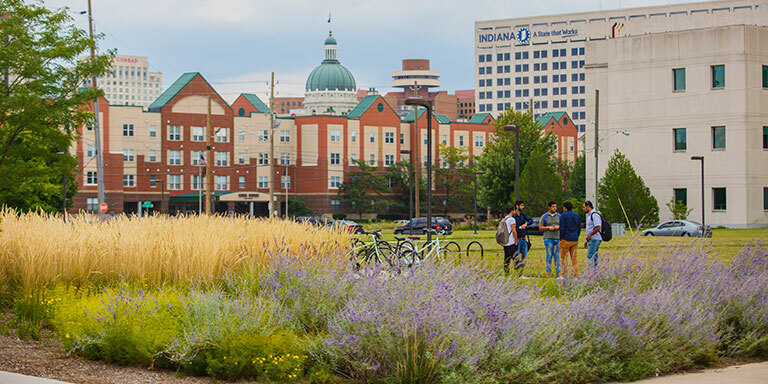 How can our physical environment foster a greater sense of community, connectedness, and pride in IUPUI by our multiple constituencies and stakeholders? How can IUPUI be a welcoming campus for those with disabilities? In what ways can our policies, practices, and processes be enhanced to achieve a more physically welcoming campus experience? How can our various units, offices, committees, and councils work with each other in order to strengthen our culture toward becoming a physically welcoming campus? What are some indicators we should use to determine our progress and effectiveness toward becoming a physically welcoming campus? Specifically, what are some recommendations concerning things IUPUI should continue doing or consider changing to be a physically welcoming campus? 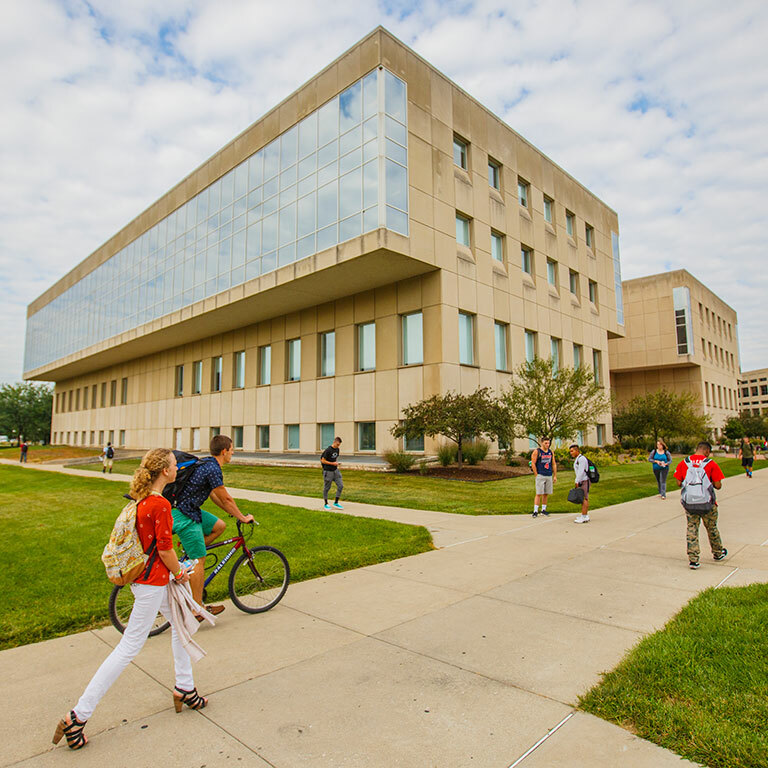 Urban campuses like IUPUI are vibrant cities-within-cities, often porous in their boundaries and sometimes indistinguishable from the other neighborhoods that they border and with which they connect. They are also large, complex entities with all of the challenges that come along with the urban context: parking, safety and security, wayfinding, aesthetics, and sustainability are all real and relevant issues for campus users. Even those who have worked at IUPUI for several years can find it challenging to to navigate our dynamic environment, making it all the more difficult to serve students, faculty, staff, alumni, and community members. This task force will focus on making IUPUI a more physically welcoming campus for everyone it serves. Among other key areas, this includes being able to get on and off campus with ease; to navigate the physical environment through effective wayfinding, signage, and other information touchpoints; to work, learn, and interact in aesthetically pleasing environments; and to operate in a sustainable, healthy campus that embraces and promotes its stewardship of place.